The project happened because of the unique problem that all four TrapTap creators had: there was no simple, cheap and legal way to avoid the speeding tickets. So, they created a distraction-free device that sits on a vehicle's dash. It maps areas with speed traps, school zones and red light cameras by using GPS and warns you of potential driving hazards. TrapTap uses Bluetooth Low-energy (BLE) to connect with the free app on your smartphone and its mapping software. To customize the alerts settings and check the statistics users should synchronize TrapTap with our app. The app collects and shows the average speed, travel distance and a number of hazards passed. The MOC team worked on the project by using a feature-by-feature approach in a short phases. Each sprint lasted for 2-3 weeks. They comprised new feature development, location, database and battery usage optimization and provided workarounds for issues caused by different Bluetooth behaviours of various Android devices. The app and the device work simultaneously with the Bluetooth, location and networking, which influence a phone battery a lot. Also, we had some Bluetooth issues caused by different vendors' smartphone peculiarities. We solved those issues by fixing the RxAndroidBle library. One of the development challenges was to detect a driving path in a real-time and minimize a distance deviation.A real-time path prediction can passively monitor the driver’s behavior. A driver only gets alerts if the information is highly relevant to the current location. The heading and distance deviation are based on the Gaussian distribution. That enables us to consider the correlated heading and distance uncertainties in a prediction. As the predictive distribution of the multi-output estimates, we generate only one output. To validate that approach, we learned the prediction models by using the collected data, and testing it. The prediction utilizes the individual travel patterns to determine the user’s future travel path. If a user does not have a sufficient path history, the algorithm can transit between individual user path history and all path records that are stored in the database. This principle allows us to individualize the route prediction approach based on the user’s specific travel patterns. However, path prediction appeared a tricky thing. We store the mapping tile related data in a Realm database. The location data takes up much space, and, as it turned out, Realm doesn’t work well when data size grows huge. The solution was to divide a huge base into a bunch of small ones. Since map comprises 1’*1’ squares called tiles, we created individual bases for each tile to avoid having huge Realm instances. We need to keep only a current and every surrounding tile at any given moment. This method helps us save a device’s RAM as well . Compressed data for a single tile occupies up to several megabytes. To consume less battery we load the tiles in advance: initially, the driver’s current tile and then all surrounding tiles. We performed a test documentation writing (test plan, test cases, checklists), functional and non-functional testing, and user feedback investigation. 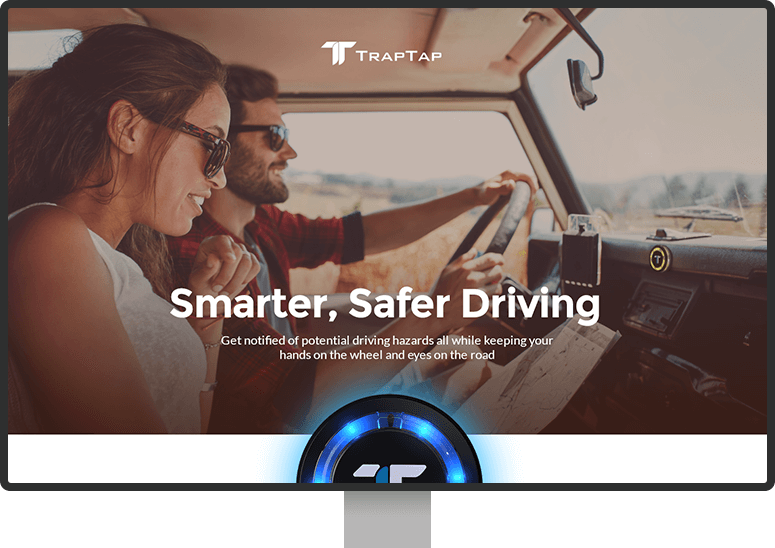 TrapTap app is being used on a daily basis to help users avoid speeding tickets and emergency situations, so we needed to make its operation as much trouble-free as it is possible. Tests included many experiments in different locations, with the various internet, Bluetooth and battery conditions. Among others, we found out the most and less battery consuming processes. For example, we were concerned that constantly reconnecting consumes the battery a lot. After running experiments, we found out that it takes only 1% of battery in 10 hours (we assume it isn’t really much for the feature that lets users forget that they have to connect to TrapTap every time they enter a vehicle as it is done automatically every time). By using the 'Help and support' button in the app, the user can connect to a customer support specialist to get online consultation via Intercom. We continue with hazard mapping, develop new locations, make bug fixes and usage optimizations.